Gamma-Aminobutyric Acid (GABA) is one of your body’s primary neurotransmitters and acts to calm your central nervous system (CNS). Research shows GABA supplement to be an effective, natural treatment for depression, anxiety, insomnia, and addiction. GABA helps to calm your body and mind down, and a GABA deficiency is thought to play a major role in many chronic health conditions. Links to products or services on this page may earn our site earn money if you make a purchase. Learn more about these links in the following article: How we Make Money. Gamma-Aminobutyric Acid (GABA) is the compound responsible for keeping us feeling calm, relaxed, and cool-headed. When our brains go into overdrive, GABA is the neurotransmitter that helps bring us back down. When utilized within our brains, GABA plays such a role in both pre-synaptic and post-synaptic activity. In other words, GABA is involved in nearly all mental processes! Modern research has also discovered that GABA also plays a role in many other areas of our bodies—sometimes even to energize things! GABA is the counterpart of Glutamate, and the two help keep us in balance. This compound helps regulate the function of ligand-gated ion channels (LIGC) which help our bodies to do things like signal between neurons. These gates control the flow of mineral ions such as calcium, potassium, and sodium which play a central role in neurotransmission. 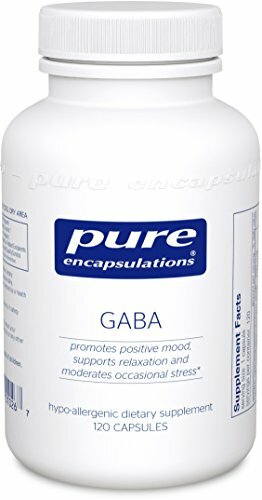 GABA plays a tremendous role in helping to regulate sleep and is also thought to play a major role in the development, progression, and treatment of major mood disorders such as anxiety and depression. Below you’ll find a brief overview of some exciting roles GABA plays in our bodies. Our brains have two major systems of neural regulation, the GABAergic system (uses GABA to work) and the Glutamatergic system (uses Glutamate to work.) These two systems are like either side of a scale, working to keep one another in balance. The Glutamatergic system is responsible for quick synaptic responses associated with deep mental focus and quick reactions to stimuli such as yellow lights that just turned red. GABA is produced from glutamate via an enzyme reaction catalyzed by glutamate decarboxylase (GAD) using pyridoxal 5-phosphate (activated Vitamin B6) as a cofactor. In acronymized terms: GAD turns Glutamate into GABA using P5P! GABA helps keep us chilled out when we’re all grown up but when our brains are still developing it’s thought to actually play a much more excitatory role (R)(R). Scientists believe this curious function is rooted in higher chloride concentrations in developing neural cells. Another interesting fact; our developing brains also start to use GABA long before the glutamatergic signaling system is functional. Having GABA pick up the slack while our brains continue to develop. Nature loves efficiency. The company of GABA isn’t reserved only for our brains. GABA can also be found in high concentrations in the pancreas, where it’s produced in fairly high levels alongside insulin-producing β-cells. This site is also a major non-neural location for the production of GAD (the enzyme that makes GABA.) GABA is secreted alongside insulin and later binds to receptor sites to block the release of glucagon (an insulin blocker.) The role GABA plays here has some exciting implications for future treatments for diabetes (R). Also noteworthy; researchers have shown that stimulating an increased level of a protein called glucagon-like peptide-1 (GLP-1) triggers a release of more GABA (R). This stimulatory action of GLP-1 depends on another compound named cyclic adenosine monophosphate (cAMP.) The herbal compound Forskolin is a powerful cAMP stimulator and might (making an observational leap here) help stimulate the production of pancreatic GABA in such a way to help regulate imbalanced insulin production. Science is slowly discovering that our central nervous system plays a much larger role in regulating our immune system than previously acknowledged. This perspective is well-illustrated by the now-know presence of neuronal-like receptor sites on our immune cells. In other words, our immune system is designed to use the same compounds that our brains are! GABA is produced by some immune cells (R) is utilized by those cells when outside the brain, and can also be utilized by those cells when they enter the brain! This systemic integration of GABA within our immune systems means that an imbalance of GABA might very well mean an imbalance of our immune system! Alcohol mimics the role of GABA as an inhibitory molecule in our brains. Infrequent or moderate consumption of alcohol is thought to have a short-lived impact on our natural GABAergic systems’ function. Research has shown that prolonged exposure to ethanol (the alcohol in your drink) can result in extended alteration (potentially-permanent) of GABA receptor sites (R). In other words, if you drink a lot you might have to keep drinking a lot in order to maintain some semblance of normal GABAergic functionality. This connection may help explain some of the origins of disorders such as Alcoholism. Currently, most research in this area is based on animal models and much more data is needed before any conclusions can be made. Limited studies have shown GABA to produce large spikes human growth hormone levels. One such study (R), among eleven men of ages 18-30, found that GABA caused 400% increases in measured human growth hormone levels. This randomized, double-blind, placebo-controlled, crossover study saw participants given 3 grams of GABA before exercise or rest. Those participants that were given the GABA and then exercised were the ones that saw the measured spikes in growth hormone levels. In other words, taking GABA before working may cause larger-than-normal spikes in growth hormone. GABA is among several such dietary supplements known to increase levels of growth hormone. Interaction with neuronal GABA receptor sites has been the fundamental concept of most pharmaceutical sleep aids. This includes barbiturates, benzodiazepines, and the newer class of GABA agonists: imidazopyridines. These compounds all act on these sites mimetic of how GABA would naturally are all known to cause disturbances in certain stages of sleep cycles and have ‘alarming’ side effects. One great example of GABA’s role in sleep regulation was gleaned from a 2008 study which investigated neural GABA levels of participants suffering from insomnia. This study found nearly 30% less GABA present in the brains of those suffering from insomnia (R). This would suggest that sleep disorders such as insomnia may have roots in both GABA production and GABA utilization. GABA receptors play a role in the development and progression of major mood-affective disorders such as anxiety and depression in ways similar (maybe identical) to how they impact sleep. The family of prescription medications used to treat such conditions is often from the same families of compounds used to treat sleep disorders; barbituates and benzodiazepines. There isn’t overwhelming data to support GABA supplements’ role as effective treatments for anxiety or depression. However, there is overwhelming data to support GABA receptors’ roles in such conditions. For those interested in a deep dive into the subject, we suggest reading the 2007 paper Role of GABA in Anxiety and Depression (R). More recent research, such as the study showing a marked decrease in global GABA levels in patients with insomnia, suggest that conditions responding favorably to treatments targeting GABA receptors might also respond favorably to GABA supplementation. GABA plays an active role within one part of the brain, the lateral hypothalamus, where significant appetite regulation is controlled. In one animal study, researchers found that activating GABAA receptor sites in the brains of rats was able to suppress nighttime feeding and reduce post-fasting feeding (gorging when you’ve gone all day without a meal) (R). Additionally, researchers found that chronic activation of the GABAA receptor sites caused a significant reduction in 24-hour caloric intakes. This reduction in daily caloric intake was accompanied by an expected weight loss response. There is limited research investigating the connection between GABA, appetite regulation, and weight loss. At this point, we regard the efficacy of taking GABA supplements for weight loss as unknown. Some users of GABA report asthma attacks when first starting the new supplement. This reaction is short-lived and mild but still not well-understood. It can be alarming if one is not prepared for its potential occurrence. GABA supplements can be purchased without a prescription and are readily available on many supplement retailers’ websites. This compound comes in a range of doses and several notable varieties. Before you start scrolling through Amazon’s endless list of GABA supplements we suggest you take the time to make some key considerations. Quality, production methods, and other supplements should all factor into your decision-making process when shopping for a GABA supplement. This section provides information meant to help that process be more effective. As with any supplement, it’s important to ensure one purchase from trusted manufacturers. Cheaper supplement brands use cheaper manufacturing practices. This might mean lower-quality flow agents and binders or might even include less effective facility sanitization practices. Due to FDA regulatory practices, the dietary supplement industry is, largely, a buyer-beware market. Buying from well-known and well-respected brands is a great first step in assuring one isn’t exposed to harmful toxins or mislabeled products. We maintain a list of such trusted supplement brands for easy reference. PharmaGABA® is a form of GABA produced through a novel fermentation process of Lactobacillus bacteria. As noted by manufacturer Pharma Foods International, PharmaGABA® has the unique quality of having been clinically-investigated for its health benefits (R). The advantage of buying supplements with these types of ingredients is that one is able to assert the compounds being taken are the same ones having been studied in clinical settings. PharmaGABA® tends to be more expensive than generic forms of GABA, even when produced by NSF-certified manufacturers. Another form of GABA is commonly called Phenibut and is known to be a GABAB and GABAA receptor agonist, mimetic of natural GABA. Phenibut is taken for its anti-anxiety, pain-relief and sedating action. It is also a popular Nootropic in European countries and is taken recreationally. This compound is known to be high-risk for developing dependency and has unpleasant withdrawal symptoms (R) associated with it. Typical doses range from 250 mg once daily to as much as 6 grams in some reports, with an average dosage in the range of 2.5 grams per day (R). The blood-brain barrier (BBB) protects our brains form toxins that may find their way into our bloodstreams. This helps safeguard our brain but, at the same time, can sometimes make it difficult to get beneficial compounds where they need to be. GABA has historically been thought unable to pass the blood-brain barrier in any efficacious amounts. More modern research has shown GABA able to cross this barrier in modest amounts. Neither conclusion has overwhelming support. Animal studies have shown that the administration of L-Arginine alongside GABA produces a nearly 400% increase in measured neural GABA levels (R). GABA dosages vary and with little clinical data to establish a standard dose that’s not likely to change anytime soon. Recommended dosages for GABA tend to range from 125 mg to 750 mg, often depending on advertised purpose (oddly enough, right?) We’ve noticed that GABA supplements advertised as natural sleep aids and those containing PharmaGABA® tend to recommend lower doses. As far as we’re aware, this is little more than coincidence. It’s always a good idea to start out with lower doses and work one’s way up. For compounds such as GABA—those without established common baseline doses—that’s an even better idea. As mentioned earlier in discussion GABA’s potential to help treat asthma, some individuals have reported brief periods of shortness of breath after beginning GABA. These symptoms are often reported as disappearing after a few days of regular use. Other side effects include lethargy, tingling in the extremities, constipation, and diarrhea. All of these are rare and generally mild in nature. The most common complaint is taking too much GABA for helping with sleep makes it more difficult to get out of bed in the morning! GABA isn’t FDA-Approved for the treatment of any health condition. It’s sold as a dietary supplement and in the case of PharmaGABA, has FDA Generally Regarded As Safe (GRAS) status. GABA supplements are common to the relaxation, anxiety, or nervous system categories of supplement retail sites and can be found alongside other natural sleep aids such as melatonin, magnesium glycinate, and 5-HTP. Online, you may find GABA being categorized alongside other Nootropics since it is such an integral neurotransmitter. GABA is one of the single most important compounds in our body. It’s one of the most prevalent neurotransmitters, responsible for calmness and tranquility. Modern science is discovering GABA is much more involved outside our brains than previously thought. This new understanding has started to connect GABA to pancreatic function as well as general immunological health. GABA supplements are poorly-researched currently and there aren’t many conclusive bodies of evidence. The role of GABA receptor sites in major disease has been well-studied however. Assuming one can get a GABA supplement to cross the blood-brain barrier there seems a strong likelihood of many positive health benefits. 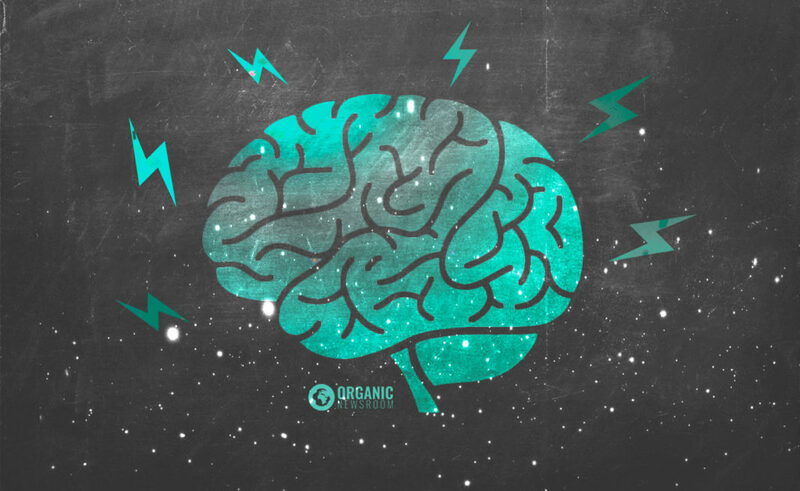 For those seeking natural compounds with calming effects; check out our article on Glycine—another inhibitory neurotransmitter! We work hard to put together resources to help learn more about health, nutrition, and personal optimization. If you found our GABA article useful please let us know by using the rating box below!